The U.S. Supreme Court made one attorney very happy—and very busy—June 25. The court granted seven new cases to be heard during its 2018 term—and three were filed by the same veteran Supreme Court attorney, Kannon Shanmugam, of Williams & Connolly LLP, Washington. “It’s a happy coincidence. But really, I’m just thrilled for our clients, all of whom get to have their day at the Supreme Court,” Shanmugam told Bloomberg Law. Representation in high court cases is dominated by a small group of elite lawyers. But the Supreme Court had seemed to be spreading the load for its 2018 term, which will begin in October. Before the grants June 25, only two advocates had more than one case granted for next term: U.S. Solicitor General Noel Francisco and Stanford Supreme Court Litigation Clinic professor Jeffrey Fisher. “Other than consolidated cases, where one lawyer represents multiple parties, I can’t recall a single lawyer having three cert grants on the same day,” Josh Blackman, a professor at the South Texas College of Law Houston, told Bloomberg Law. And though it’s almost certainly a “coincidence in the truest sense of that word,” it’s also the direct result of “the specialization in the Supreme Court Bar,” Ian Samuel, a law professor and host of the SCOTUS podcast First Mondays, told Bloomberg Law. “Obtaining U.S. Supreme Court review has been compared to lightning striking, in that one must have the right issue in the right case at just the right time,” Howard Bashman, an appellate lawyer who founded the How Appealing blog, told Bloomberg Law. But Supreme Court veterans seem to be better at getting the court’s attention ... a lot better. 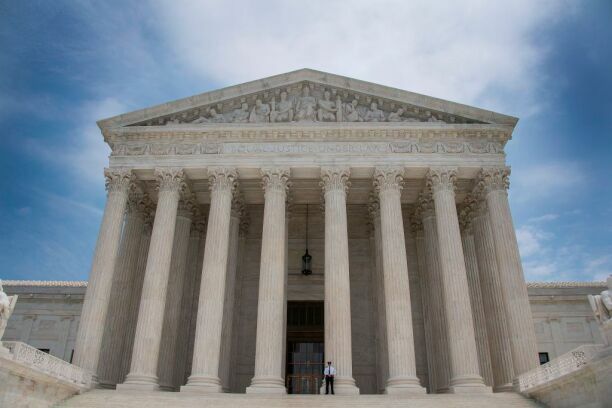 “Although they account for far less than 1 percent of lawyers who filed appeals to the Supreme Court,” 66 “attorneys were involved in 43 percent of the cases the high court chose to decide from 2004 through 2012,” Reuters found in a 2014 report. Shanmugam was among them. His law firm bio says that he has argued 23 cases at the high court. If “you’ve got a few prominent lawyers handling all the likely grants, you’re going to get days like this,” Samuel said. The “emergence of that bar is a consequence of the justices having utterly uniform backgrounds,” he said. The repeat grants here highlight the problems surrounding the “composition of the Court” and “the lack of access to elite counsel for criminal defendants and other people who can’t afford” law firm rates, Samuel said. But Shanmugam “has been very good about representing” people without access to elite law firms, Samuels said. In one of the granted cases, Shanmugam represents the victims and family members of those injured in the 2000 bombing of the USS Cole in Yemen, who are seeking damages from Sudan for supporting the terror group behind the bombing. The bombing killed 17 sailors and injured more than three dozen. The case centers on how to properly serve foreign countries sued in federal court. Here, the plaintiffs served the Republic of Sudan via its embassy in Washington. One court said that was okay; another court said it ran afoul of the Foreign Sovereign Immunities Act’s requirements. “Such disparate results on similar facts warrant this Court’s review,” the U.S. Solicitor General said, in urging the court to resolve the issue. The two other Shanmugam cases granted June 25 involve an arbitration dispute between two dental equipment distributors and the early patent sale rule. “Because there is so little U.S. Supreme Court work to go around, it would be bad form to complain about having too much of it,” Bashman said. But, he added that the court is still likely to give Shanmugam a break on his workload. “In the typical case that lacks unusual urgency, the U.S. Supreme Court is willing to work with lawyers to approve briefing and oral argument schedules that respect the limits of one advocate’s capacity to multi-task,” Bashman said. Although getting multiple grants on one day is rare, arguing multiple cases a term isn’t. About two dozen advocates argued more than one case this term, according to Adam Feldman at Empirical SCOTUS. “Paul Clement was the leading oral advocate before the Court this term with six appearances covering almost 10% of the argued cases this term,” Feldman said. Shanmugam was among a handful of lawyers who argued three or more cases at the high court this term. Next term could be more diverse, though. The Supreme Court has already granted 31 cases for next term, for a total of 30 hours of argument. For those cases, 58 different attorneys appear as counsel of record, with some cases having more than one counsel of record listed on the court’s website. More grants are expected before the justice recess for their summer break.